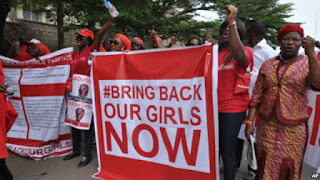 Nigeria's Bring Back Our Girls movement is demanding that the government provides news of the only Chibok schoolgirl among 219 kidnapped girls to escape from Boko Haram Islamic extremists. According to iNews, even her family has not seen her. This development confirms speculations in many quarters of political complexity in the saga. . "It's outrageous! Some people are crying!" said Yakubu Nkeki, an uncle of Amina Ali Nkeki. Hunters claimed to have found Ms Ali Nkeki wandering on the fringes of Boko Haram's Sambisa forest stronghold with her four-month-old baby last month. She was flown to the capital, Abuja for a televised meeting at which President Muhammadu Buhari promised her the best care and rehabilitation. The Bring Back Our Girls movement says no one has seen the girl since then. "Nigerian authorities should clarify Amina's present legal status. Is she a detainee? said Mausi Segun, of the London based Human Rights Watch. In another development The Niger-Delta Avengers have urged President Buhari to visit the deprived region to see for himself the extent of devastation caused by the Nigeria government and the multinationals in their communities. "Mr President come and see for yourself what the host communities are going through in the hands of Nigeria government and the multinationals". Last month President Buhari cancelled a trip to the region at the last minute. 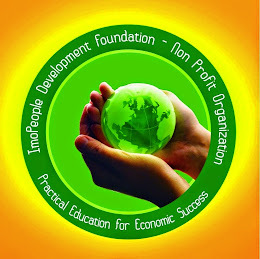 Nigeria is struggling to adapt to the challenges of fast-changing socio-economic and political envirments . There has been growing call for the reform of the current constitution to enable states and the regions take back control of their destinies. Former Vice President Atiku Abubakar is leading the call for devolution of powers to facilitate local economic development and prosperity. Devolution allows people more direct access to those who make decisions about their local governments and reduces the control and unhealthy competition at the centre. Meanwhile Nigeria's house of Representatives have indicated its willings to adopt the constitution reform report of former President Goodluck Jonathan which favours devolution of powers and independence of democratic institutions including electoral reforms that will sustain Nigeria's diversity. This has become very imperative following recent political paralyses caused by widespread clampdown on oppostion by President Buhari and poor legislature-executive relationship which is now affecting governance and future democratic development in the country.